Brief stories from the World Cup: Ronaldo for president? Following days of verbal exchange with police leaders, foul-mouthed Ugandan scholar Dr Stella Nyanzi has been crowned as a winner by her followers after getting permission to lead a group of women to march in protest against the rampant kidnaps and women murders that have left many Ugandans in fear. Wearing black t-shirts with inscriptions such as “Stop Kidnapping Women” “Women Just Want To Live” ” Women’s Life Matter” and placards with a wealth of phases all calling for action against violence against women, they marched in confidence and with zeal from Centenary Park to Railway grounds. Code named #WomensMarchUg, the gathering comprises activists, both male and female, families of women who wer murdered in Entebbe, non-governmental organisations, foreign missions such as ambassadors Debora Malac (US) and Sophia Makame (French)and just about anyone from different walks of life. 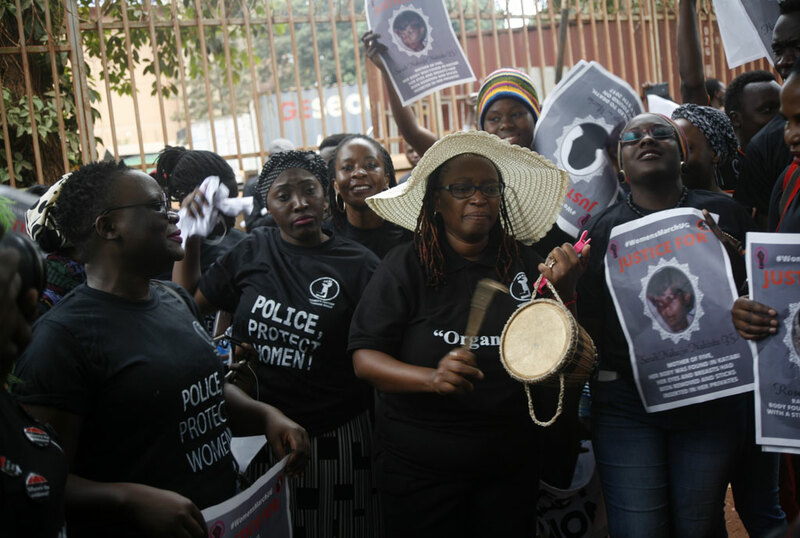 The protest is part of action by a working group of activists from across the board headed by Dr Nyanzi calling for stakeholders such as police, government and society to take women’s security serious. Top on the agenda is justice for the 42 women murdered in Entebbe, a crime that remains unsolved till now. According to Dr Nyanzi, it is high time action is taken and the group will stop at nothing in advocating for this.